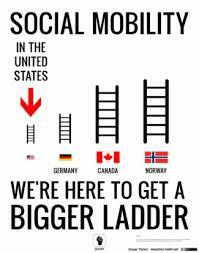 This article focus on to Define and Discuss Social Mobility. In a very closed society with any caste system, mobility may be difficult or impossible. Social position within a caste system is decided by assignment rather than attainment. This means people are either born into or marry into their family’s caste; changing caste systems can be quite rare. Several patterns of social mobility are possible like Horizontal mobility, Vertical mobility, Intragenerational mobility.